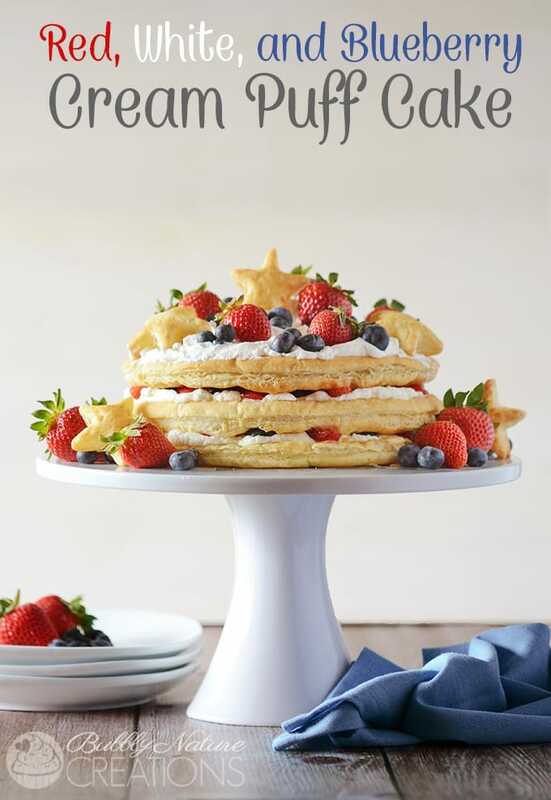 I made this Red, White and Blueberry Cream Puff Cake as part of a sponsored post for Socialstars #WalmartProduce . All opinions and content presented in this post are mine. I buy berries weekly for us during berry season! We just can’t get enough of them. My family of 6 can eat a whole 16 oz. carton of strawberries in a day and so I am always looking for the best berries for the best price! 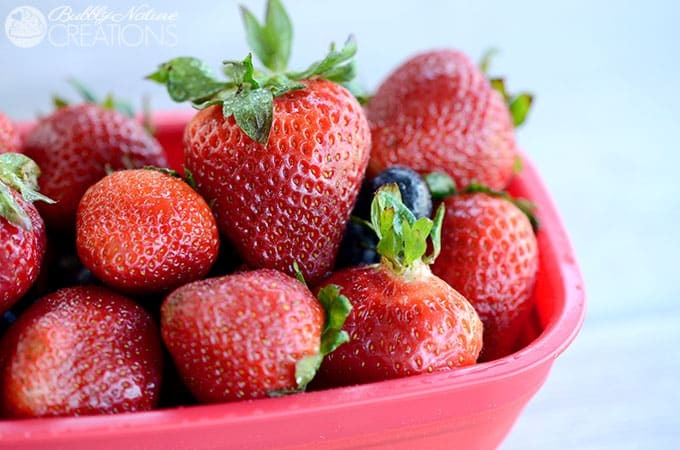 I bought some beautiful strawberries and blueberries at Walmart the other day and started dreaming up ways to use them. I wanted something sweet but not so sweet that it took away from the sweetness of the berries. My girls are berry fanatics and so I knew this Red, White and Blueberry Cream Puff Cake would be a big hit with them! If I were being technical this cake would actually be called a “Napoleon”, but to me this a cream puff cake because that’s what it tastes like! 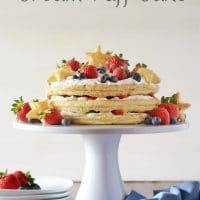 The red strawberries, white whipped cream, blueberries and pastry stars make this perfect for any patriotic themed party! I always find delicious farmer picked strawberries and blueberries at Walmart. I like buying them at Walmart because Walmart Produce has a 100% money back guarantee! These berries were at the peak of ripeness. 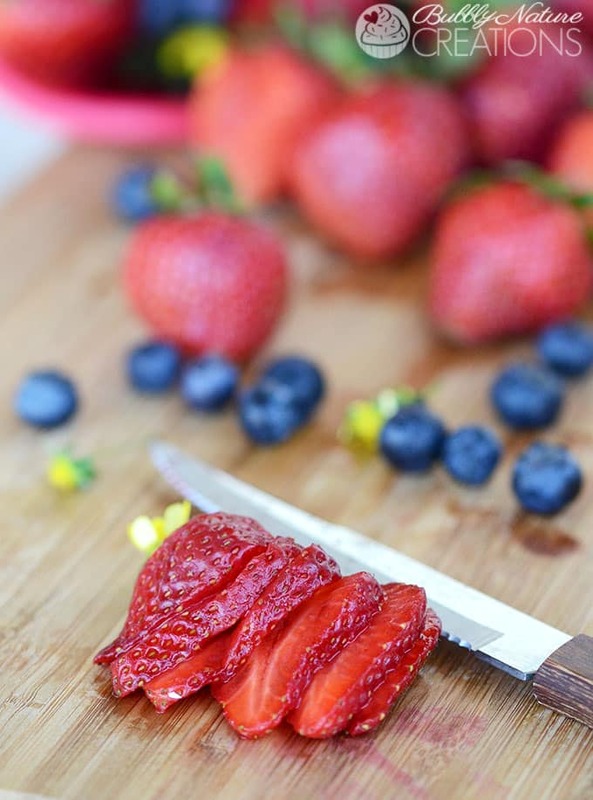 I love how juicy and red the strawberries were and the blueberries were perfectly sweet! 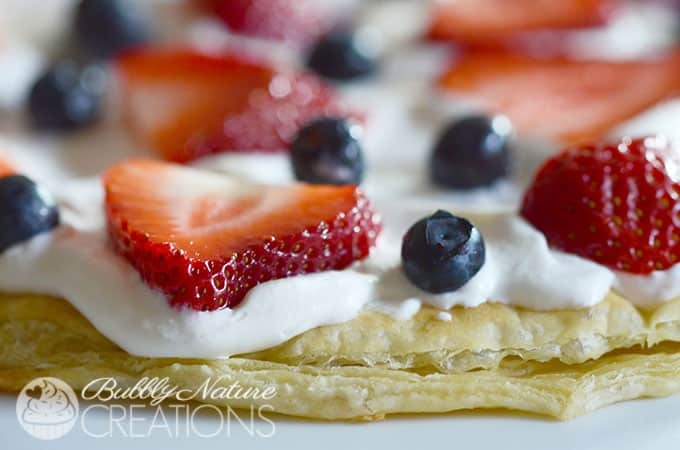 This “cake” is super easy to make using frozen puff pastry sheets. 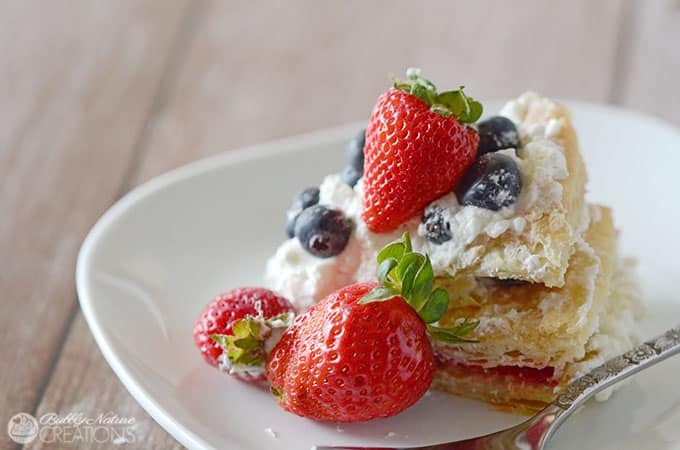 Just layer the puff pastry with whipped cream and the berries. So simple and looks amazing! Such a wonderful summertime treat!!! I can’t wait to serve it on the 4th of July! 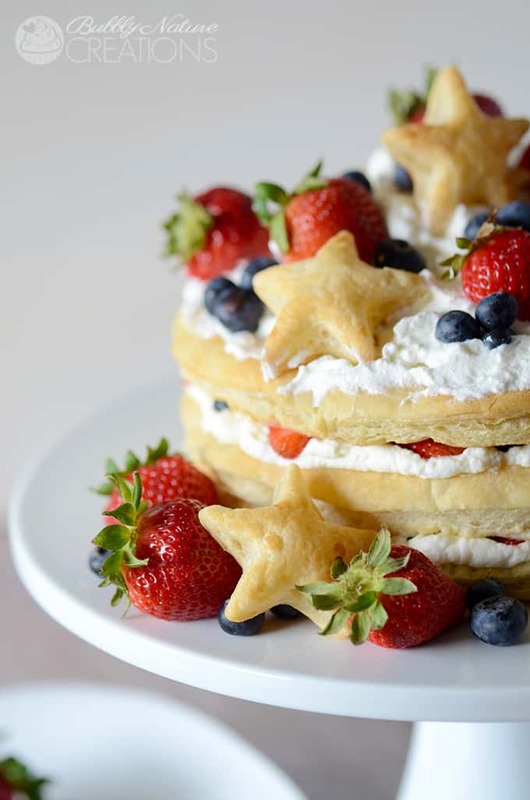 Red, White, and Blueberry Cream Puff Cake! Slice half of the strawberries and discard the leaves. Cut 3 of the puff pastry sheets into 8 inch circles on a lightly floured surface. I used an eight inch cake pan and made an impression onto the puff pastry sheet then cut the circle with a knife. With the extra puff pastry sheet cut out stars with a cookie cutter. Lightly grease or use cooking spray on a baking sheet and Bake the puff pastry at 400 degrees for 10-15 minutes or until golden brown. Let the puff pastry cool. Make whipped cream using your own recipe or the recipe below. To assemble cake place one puff pastry circle on the bottom and spread a layer of whipped cream on top. Place sliced strawberries and blueberries on top of the whipped cream layer. repeat these three steps for the next layer, but put the puff pastry facing down. Place the final puff pastry on top of the last layer facing down and spread a thick layer of whipped cream. This time put a little more whipped cream in the middle to build it up. Decorate the top layer using whole strawberries (you can use the leaves or take them off) blueberries and the puff pastry stars. Now you are ready to serve. Serve this cake within 30 minutes and it can be refrigerated for up to 2 hours. It will get soggy as time goes by so I suggest serving it asap. For the whipped Cream Frosting: mix the water and gelatin in a microwave safe bowl. Use a larger bowl because the gelatin will foam up in the microwave. Microwave on high for about 20 seconds or until all the gelatin is dissolved. Let the gelatin cool off to a lukewarm temp before adding it to the cream, but don't let it get cold because it will become a gel. Meanwhile with an electric mixer whip the heavy cream, sugar and vanilla on high or until thickened. Add the gelatin to the whipped cream slowly and beat on high until the whipped cream forms stiff peaks. When ready to serve take the cupcakes from the freezer and top with the whipped cream. You can use this whipped cream frosting like you would any other frosting. It will hold its shape for at least 2 hours and should hold longer if refrigerated. That cream puff cake is just GORGEOUS! And so easy! I need to find some of those puff pastry sheets! Frozen section… they are great for so many things! That looks amazing and so yummy! LOL! Thanks, Gwen~ Way too yummy not to! Wow! This is a showstopper! Definitely going on my Fourth of July party menu and pinning; the entire internet need to know about this! This is mouthwatering! Your pictures just draw me in! Love this cake, such a perfect summer time dessert! 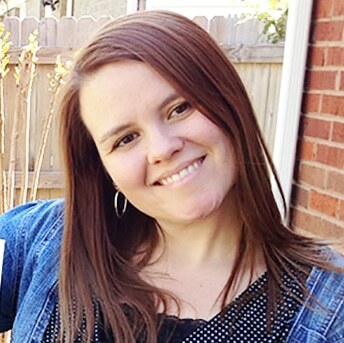 Thanks so much, Tanya! 🙂 Loving these fresh produce posts!